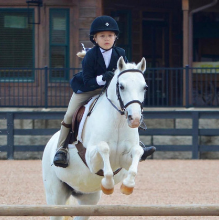 If you aren’t familiar, you might think that pony classes, since they are only for riders under 18, are kid stuff. Not even close. 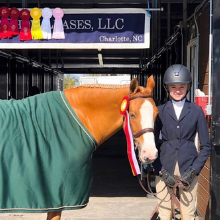 Ok, it’s true that kids compete in the classes, and that they are a ton of fun, but pony hunters are serious business, super competitive, and there are a lot of rules and regulations. But don’t worry! The Horse Show Leases team are veterans of Pony Hunter World and so we are here to help with all the pony info. We are still early in the season, so it’s a great time to provide all the info on qualifying, preparing, and showing at the biggest pony event of the year- Pony Finals! Let’s assume you don’t know anything about ponies or the divisions at horse shows. Everything outlined here deals with shows and ponies as they relate to United States Equestrian Federation (USEF) events, or “A” shows, and is per current USEF rules. Rules for pony classes can seem a little complicated at first, so don’t feel too bad if it seems confusing! The term “pony” directly relates to size, and they are divided into three groups. In the US, we measure horses and ponies in “hands (hh),” which is 4 inches (in Europe, they are measured in centimeters). In order to compete in a Pony division at an A show, ponies must go to the show and be measured by the steward in order to have their size officially recorded. Then they receive a “pony card” which serves as proof that they are competing in the appropriate division. Lucy & Fiona (small pony) were champions of their division! Pony cards are very important because historically, people love for ponies to be as big as possible without going over size requirements- this is because they tend to have a longer stride if they are bigger, which can sometimes give them an advantage in related distances on course. If someone thinks that a pony is oversize, they can pay to “challenge” a pony’s size. At that point, the steward will remeasure to make sure they are the height they are supposed to be. In the past, ponies had to be within a half-inch of the height restriction upon challenge. However, that is no longer the case. They must be within the exact measurement. There are several different types of pony divisions. Each has their own jump height specifications, as well as rider age restrictions, again according to pony height. Plus, lengths of related distances (lines) are specific for each size group as well. Lines are shortened slightly as ponies get smaller. Ponies are eligible for this division for one year only. They can actually do the Regular Pony division the same year, but once they have completed one year in the Greens, they can’t do it again. Except: If a pony competes no more than 4 times before September 1 in the Greens division, you can apply to have their Green year reinstated. So for example, if you have some rough shows, or your pony turns out to be greener than you thought, you can stop competing at apply for reinstatement, and then try again the next year. See USEF Green Hunter FAQs for reference. Also, any junior can show a Green pony- but they need to be a “suitable,” appropriate size for the pony, or it can count against them. After completing their Green Year, this is the division to which ponies graduate. If ponies qualify for both Greens and Regulars, they must choose in which division they want to compete at Finals, and officially declare in advance. Also, riders must not (except for a few exceptions), compete on another horse at heights over 3’6” at the same show in which they are showing a pony. Congrats to HSL rider Grace & Carnival, qualified for Pony Finals! Pony Finals is supposed to be a competition of the best ponies in the country; so naturally, all the ponies must qualify. As per current rules, you can qualify by being champion or reserve champion in your ponies division at an A-rated or AA-rated show. Once you have qualified, you can celebrate a moment, but then it’s time to prepare! Pony Finals, as they are in 2019, are usually held in August at the Kentucky Horse Park (though not always). As the Horse Show Leases team knows, it’s an incredibly memorable and valuable experience. Now that you have all the Pony Hunter information, time to get ready for Part 2 next week: All About Pony Finals! But if you can’t wait to learn all about it, or to find your next pony (or horse) contact our fearless leader, Alicia Wilkinson! 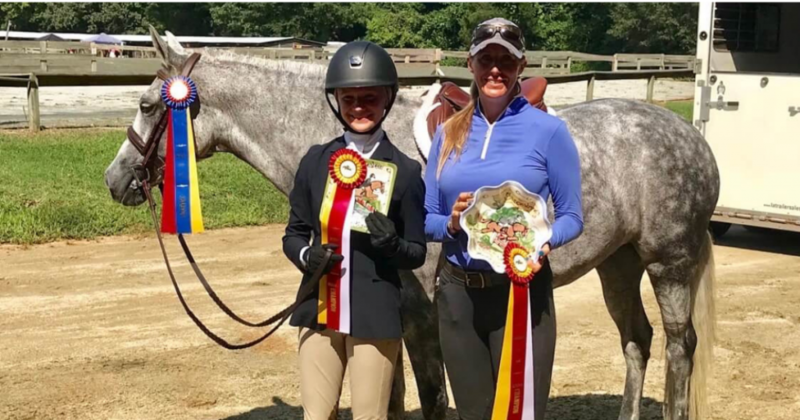 Jenn Crow has been a lifelong barn rat, and a hunter/jumper professional for 20 years with a passion for teaching and operations, from lesson programs, to IEA Teams, to shows such as WEF, Harrisburg, and Washington. Carolina Country Acres trainers are great, smart and helpful and horses are sweet, patient and willing. My daughter could spend every minute of every day there. Highly recommend! He literally COULD NOT be more perfect, what’s so cool too, is that not only has [your horse] made my rider better, but he is totally changing her…she is coming out of her shell, she has confidence…It is really one of the most special things. I mean he has changed her life. Hey Alicia!!! … I miss riding for you A LOT!!! You are by far the best instructor I’ve ever had and you taught me everything I know and more till this day! If I were still living in Lancaster I would ride for you !! ….just wanted to say I miss horse show weekends and riding at your barn ! Alicia Wilkinson is known for her patience and kindness when working with students. Her “hands on” approach is highly regarded by parents. My daughter has learned so much in such a short time riding with Alicia. She is able to find that balance in teaching between positive reinforcement and constructive criticism. Just a quick note about how wonderful your staff was. I was more than impressed. The moms who had been around barns more than I couldn’t stop talking about how clean the place was and how wonderful everyone was. Thanks again! Alicia, Thank you for helping us find our 3rd horse in a row for Victoria! We already love Monte, and Jessie is happy to have him back in her program! Thank you so much for sharing Monty with us this year. We are so grateful for the opportunity to work with him and love on him! He will be well cared for and very loved!